Taking advantage of the region’s largest gathering of real estate professionals, developers took to the halls of the Dubai World Trade Centre to announce and showcase projects worth billions of dirhams. Out of the 300 companies at Cityscape Global, five local developers have exhibited projects worth a total AED38.7 billion making up a large portion of the total value of projects onsite. With the value of many of the announced projects expected to come to light in the coming days, the running tally is projected to grow substantially. Running until Thursday 4 October, Cityscape Global has seen developers competing for the attention of first time buyers, seasoned real estate owners and major investors with offers of attractive payment plans, fee waivers and additional bonuses on new and existing projects. Nakheel’s Dragon Towers is a twin building high-rise apartment complex that offers one and two-bedroom units starting at AED449,000. 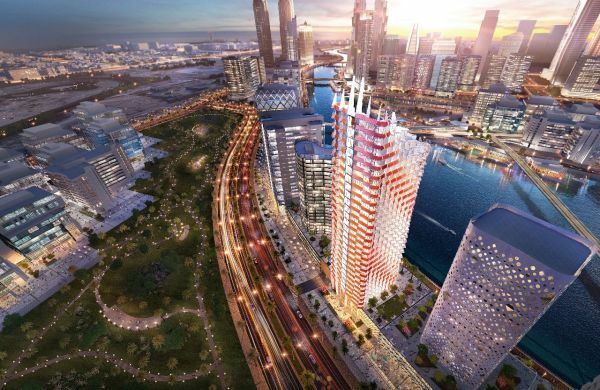 With a total development value of AED713 million, the project will be built at Dubai’s rapidly-expanding Dragon City mixed-use community. Featuring more than 14,000 units, Aldar’s Alghadeer is a AED10 billion master-planned development located on the border of Abu Dhabi and Dubai. Aldar is offering Cityscape Global visitors who buy homes at Alghadeer a 2% registration fee waiver and a 3-year holiday on service charges, as well as a monthly payment plan enabling customers to buy their home from as little as AED2,700 per month. Announced on the opening day of Cityscape Global, the Central Hub, designed by Zaha Hadid Architects, is the focal point of Arada’s AED24 billion lifestyle destination, Aljada. 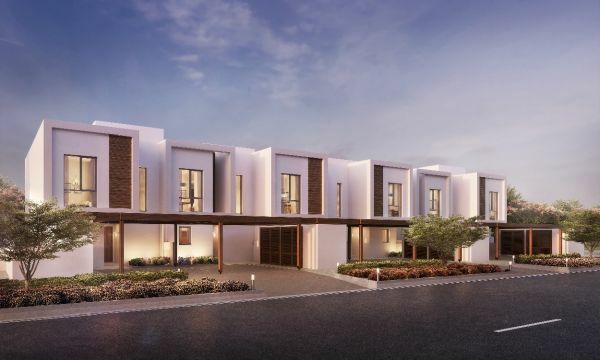 The developer is also offering visitors the chance to purchase one of 109 semi-detached villas and townhouses in its nature-themed Sarab Community onsite at the Dubai World Trade Centre. 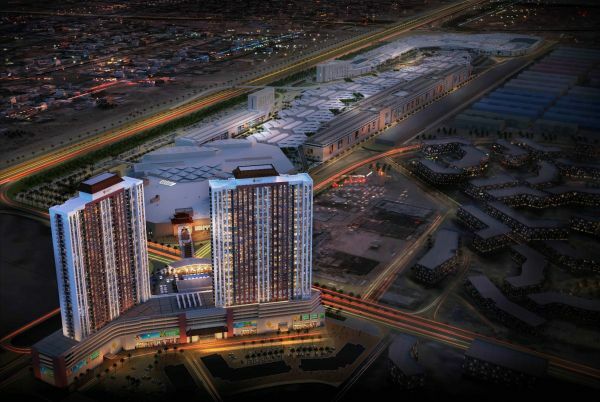 Binghatti’s total portfolio of available projects, which includes the recently announced Millennium Binghatti Residences (AED400 million) and Binghatti Stars (AED250 million) top a value of AED1.5 billion. For sales onsite, they are offering a reduced 1% booking fee, free interior design, zero per cent commission and an onsite mortgage approval from Mashreq Bank. Additionally, they also have an exclusive deal that allows buyers to live in an existing unit in an existing Binghatti project rent free until handover has been completed. 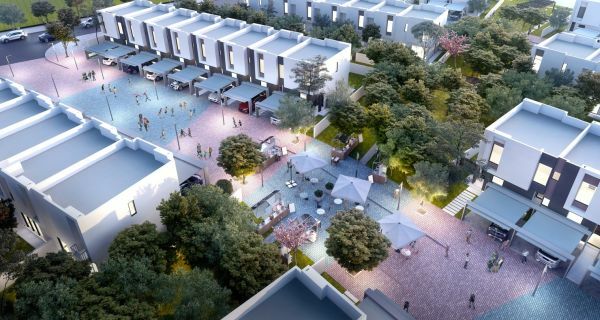 Part of Dubai Motor City’s phase two development plans, Avenue District is a mixed-use lifestyle destination announced on the opening day of Cityscape Global. 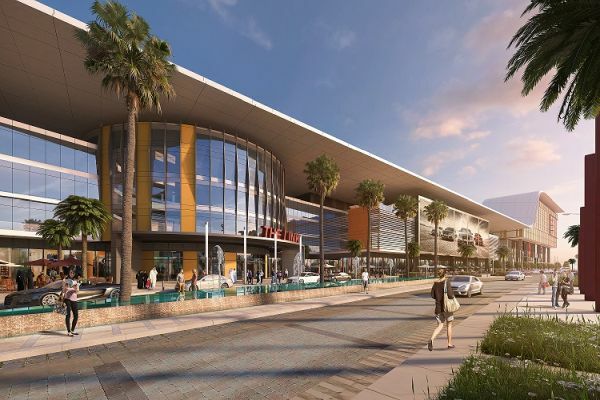 Valued at AED2.5 billion, Avenue District will offer over 300 residential units as well as a state-of-the-art 100,000sqft BMW and MINI showroom. Other major developments and projects launched on the opening day of the show include Marsa Meydan by the Meydan Group, a Newport Beach style residential and lifestyle community in Jebel Ali featuring a climate-controlled marina and waterfront villas with private pontoons, a first in Dubai. 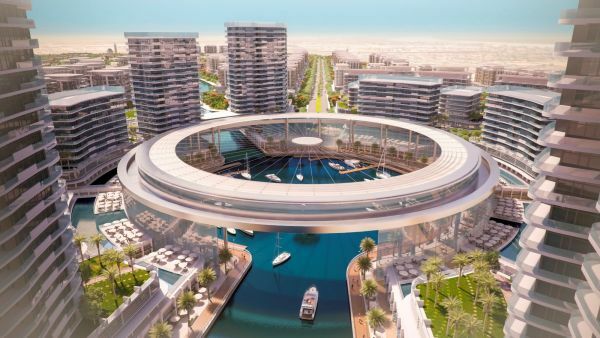 Meraas’ Port de la Mer was also announced during the first day of the event and is set to be a beach front master developed project in the heart of Jumeirah. Located in the Northern Peninsula of La Mer, it will offer a mix of residential suites, four and five-star hotels and a 192-berth superyacht marina. Cityscape Global returns with support from Foundation Partners: Dubai Holding and Nakheel; Platinum Sponsors: Eltizam Asset Management and Marjan Island and; Silver Partners: Noyanlar and Tamleek Real Estate; and Strategic Partner: Dubai Land Department.